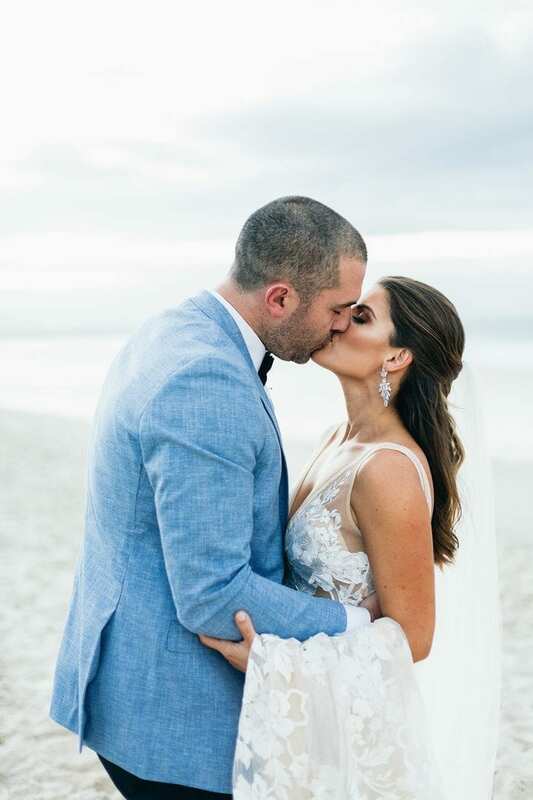 Stef and Dane’s Byron Bay Wedding was a tropical beach dream! With palm fronds and a soft neutral/pastel palette, the day was beautifully styled. Stef fell in love with Stevie by Made with Love Bridal – the perfect relaxed fit for the big day. 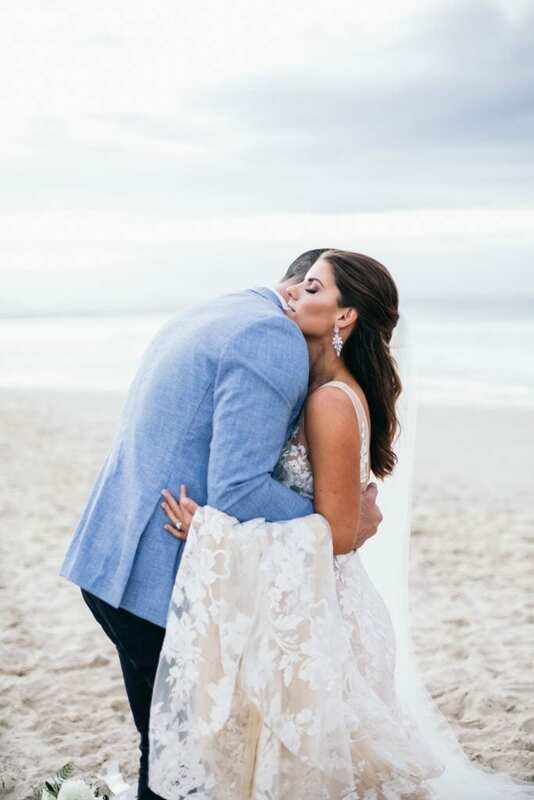 Stef styled her gorgeous lace mermaid gown with a raw-edged veil, a chic half-updo and statement earrings. The Beauty Lineup crafted and amazing warm smokey eye to bring out the warmth in her gown for a beautifully understated bridal look. Our gorgeous real bride kept her bouquet simple, bountiful and fresh with lush whites and greens. Scroll through the couple’s stunning wedding gallery below!